Cost-conscious outsourcing doesn't have to mean cheap, low-quality SEO services. FreshPromo's pricing structure makes sense for budgets of all sizes. To be economical means to put your resources where they will make the most difference. Small businesses and individuals looking for a great return on investment don't have to break the bank. FreshPromo's SEO team works to understand our client's core services/products, target customers and their market, and draws up a plan to reach the goals of better visibility, branding, higher conversions and online exposure where it matters most. And all this at an affordable cost. If you want economical, organic SEO services, we'd be happy to provide you with a detailed proposal outlining our methods, goals and timeframes. Get a no-obligation, personalized SEO Quote by email today. To ensure that web site traffic is as qualified as possible, the first step is to discover those niche phrases that specifically apply to your site's focus. More general keywords are great for driving large amounts of traffic to your site, but they will be expensive to rank well for and much of the traffic won't be relevant. If you start off with the wrong keywords, much of your SEO effort will be wasted. Obviously your web pages need to stay on topic. Each one should serve a specific purpose - try to avoid using more than three different keyword phrases on the same page as this dilutes the focus of each phrase - not only for search engines, but for visitors. A good SEO firm should have a realistic concept what works for human eyes as well as the search engines. By using analytics software, you will learn about your visitors' behaviour and see trends. 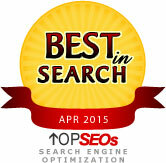 This is a very important aspect of economical SEO. Time spent on the site, pages viewed per visit, and bounce rates are all metrics to gauge performance on. Some keyword rankings will perform better than others and result in higher conversions. Some rankings will also not preform as well. You should react to these differences by changing the SEO focus whenever necessary. For example, if referrals from a particular keyword are resulting in a high bounce rate on the home page you could do one of two things: a) Abandon the keyword as part of your SEO plan in favour of better performing phrases, or b) improve the relevancy of your content to ensure deep navigation in an effort to improve conversions from that keyword. This is the key in making SEO affordable. Having high search engine placement doesn't guarantee anything unless the right people see it. Defining a keyword focus, ensuring your page content is relevant, and reacting to visitor trends are all a big part of economical SEO. If we at FreshPromo can help you in any way, give us a call. We understand the needs of small businesses and smart budgeting. Your search visibility doesn't have to suffer just because you want affordable search engine placement. If you're interested in learning more about what we do, check out our SEO packages.